A bill that would ban tobacco products and vaping in Kentucky public schools passed through a state House Committee Thursday. Republican Rep. Kim Moser from Taylor Mill is sponsor of the measure. She said the ban would send a message to students. “I think that it’s very important that we set certain expectations for our students and stop normalizing tobacco use,” Moser said during the hearing. The measure would ban vaping and tobacco products not only inside schools, but also on school property like sports fields and on school trips. If the bill becomes law, individual school districts would have until July 2020 to implement. Enforcement would also be up to school boards, though the bill does say that school employees would be required to enforce the policy. The bill passed out of the House Health and Family Services committee and now heads to the full House for a vote. Franklin County Superintendent Mark Kopp spoke at Thursday’s hearing. He said his district adopted a similar ban in 2011. The measure has the backing of public health advocacy groups like the Foundation for a Healthy Kentucky and the Kentucky Cancer Foundation. The Kentucky School Boards Association also supports the bill. Moser said the measure also has support of the tobacco and vaping industry. Investigations last year by The Food and Drug Administration and Federal Trade Commission found vaping companies were marketing to teens. Juul Labs, which controls about 70 percent of the e-cigarette market, announced in November that it would stop selling flavored vaping pods in retail stores and that it would stop social media marketing. That came right before the federal government passed several measures to stop teens from using the devices. Kentucky lawmakers have introduced statewide smoke-free legislation in past years, but measures have never gained much traction. About 57 percent of Kentucky public school students attend schools that already have a smoke-free policy. In 2017, a little more than 14 percent of Kentucky high schoolers reported smoking traditional cigarettes. About the same number reported vaping. Teens who use e-cigarettes and other cigarette alternatives are nearly twice as likely to later smoke traditional cigarettes, compared to teens who never use those alternatives. That’s according to research published last year in the Journal of the American Medical Association. A Kentucky doctor wants to improve the overall health of the state by increasing the tobacco tax. 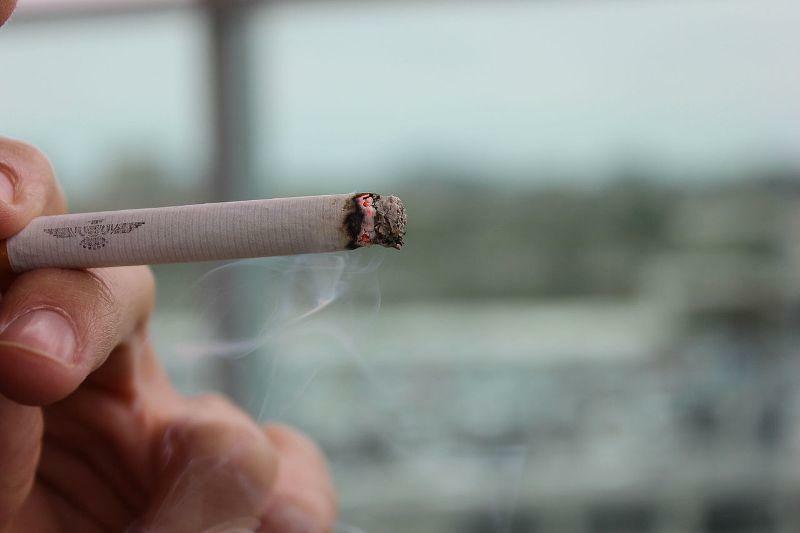 Dr. Patrick Withrow, a retired cardiologist and the Director of Outreach at Baptist Health Paducah, believes that raising the tax on a pack of cigarettes by one dollar could help reduce smoking in adolescents, pregnant women, and low-income populations. Gov. Matt Bevin spent much of his fourth State of the Commonwealth Address praising the Republican-led legislature for passing measures like so-called “right-to-work” legislation, anti-abortion policies and attempting to make changes to state worker pension benefits. The appreciative tone comes a little more than a month after Bevin chided the General Assembly — which has more than three-fifths majority in each chamber — for quickly ending a specially-called legislative session without passing an overhaul of the pension systems. A Taylor County Republican in the Kentucky House has filed a bill creating scholarship tax credits designed to help low-income families afford non-public school education for their children. Such proposals have been criticized in the past as unfair state support for private schools. House Bill 205, filed by Campbellsville Representative Bam Carney, creates a mechanism to increase private donations for scholarships to be used at private schools.